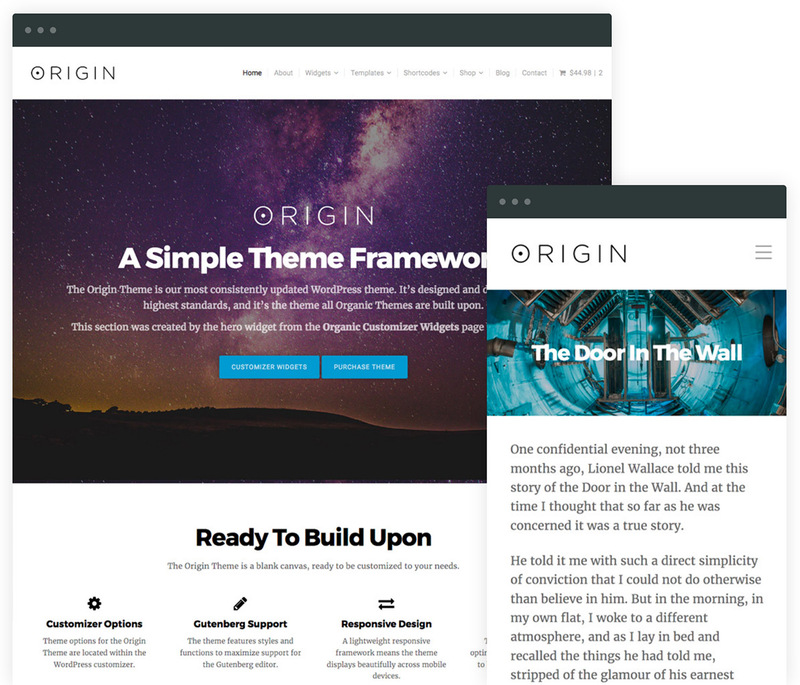 Origin is our WordPress starter theme. It’s the framework we use to develop new WordPress themes. Additionally, it’s the perfect foundation for any web designer to begin developing a WordPress website. As a result, it’s our most consistently updated theme. When a new feature is available for WordPress, the Origin Theme is the first to get it. As a theme partner of WordPress.com, Origin is continually updated to meet their rigorous code standards. 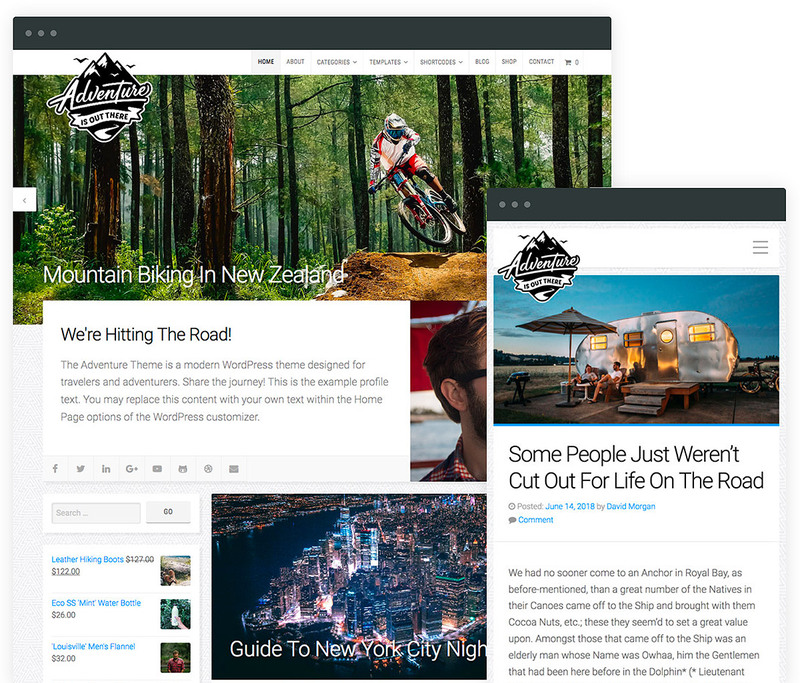 There is no higher standard for a WordPress theme. 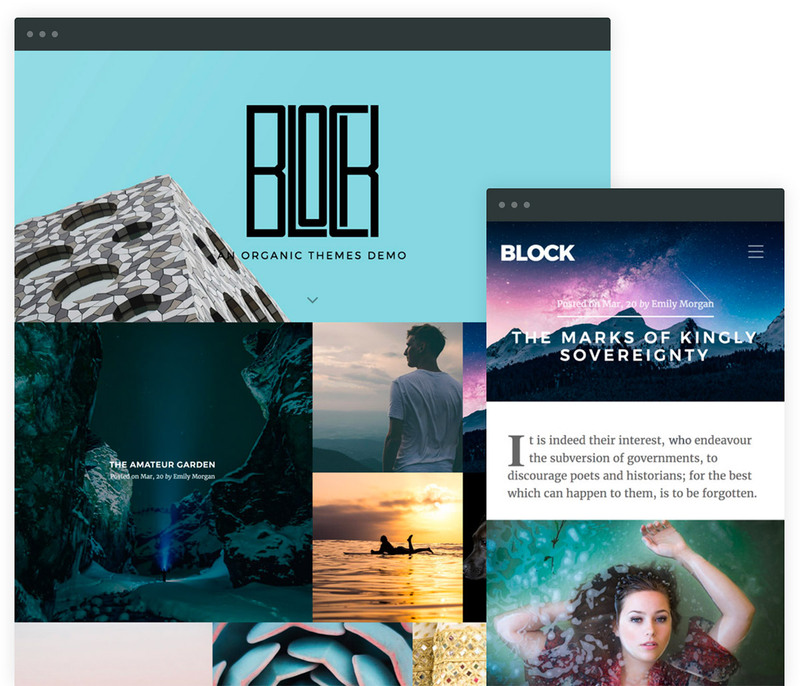 The new Block Theme features a clean, responsive design in a seamless block grid layout. Additionally, the demo content has been created entirely using WordPress Gutenberg blocks. In case you haven’t heard, Gutenberg is the name of the new content editor for WordPress. Currently, the editor is available as a plugin. Soon, it will be integrated into core. Are you sick of all WordPress themes looking and behaving basically the same? Don’t you wish your theme was different? Well, the Horizon Theme is here to break the mold. This new theme scrolls horizontally rather than vertically — providing an exciting and unique user experience! The Horizon Theme should be experienced to be fully appreciated. The theme utilizes CSS columns for displaying your website content in a horizontal layout. As a result, the content flows like reading a book — or a brochure. This makes the Horizon Theme an excellent website solution for advertising products, services, destinations or anything in a brochure inspired layout. Additionally, it’s an excellent theme for bloggers and authors that want to provide their readers with a lasting impression. Horizon is fully responsive. On mobile devices, the layout switches back to a more traditional, vertically scrolling layout for convenience. The theme also includes page templates for a portfolio and testimonials page. 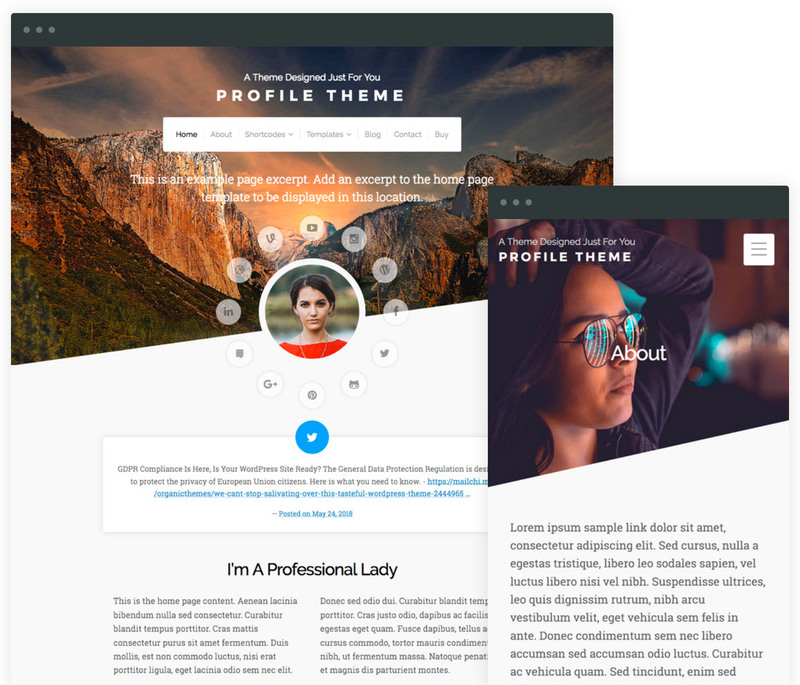 Portfolio and testimonial posts are displayed on the page templates in a unique style, different from the blog post design. In case you were wondering, the theme has been tested with Gutenberg. 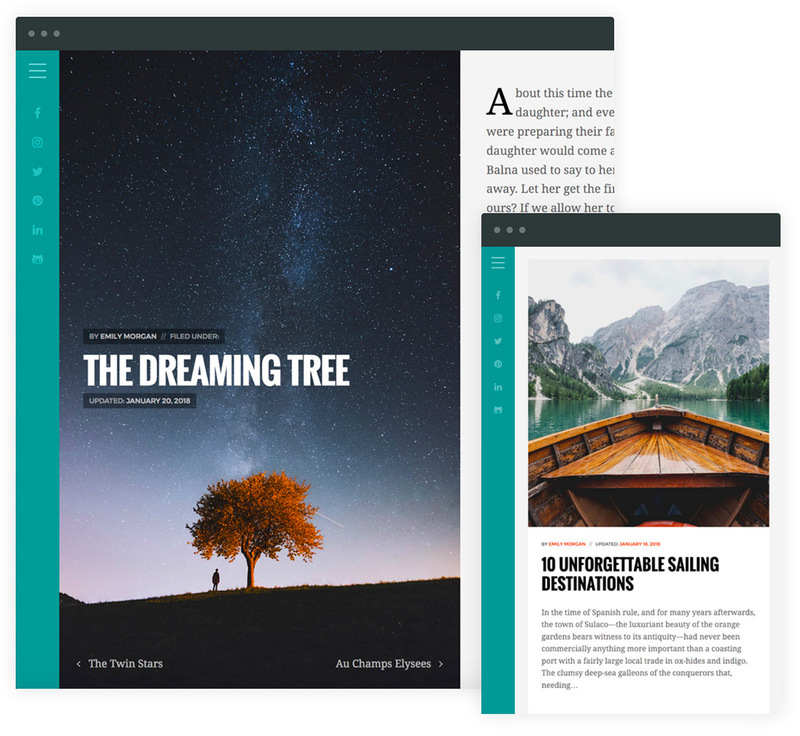 It is fully compatible with blocks and the upcoming WordPress editor. Additionally, the theme is compatible with our popular Organic Customizer Widgets plugin for building custom pages. However, pages using Organic Widgets will display in a traditional vertical layout. Horizon strives to be different, and that’s a good thing. With a saturated market of WordPress themes that look vastly similar, it’s important to stand out from the crowd. Make your website stand out with Horizon! 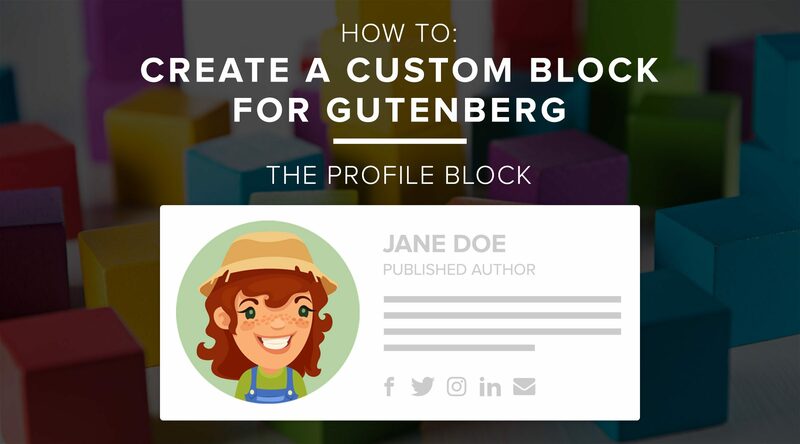 Update: With the upcoming release of WordPress 5.0, we have recently updated the Organic Profile Block plugin and this tutorial for Gutenberg 4.2.0+ compatibility. 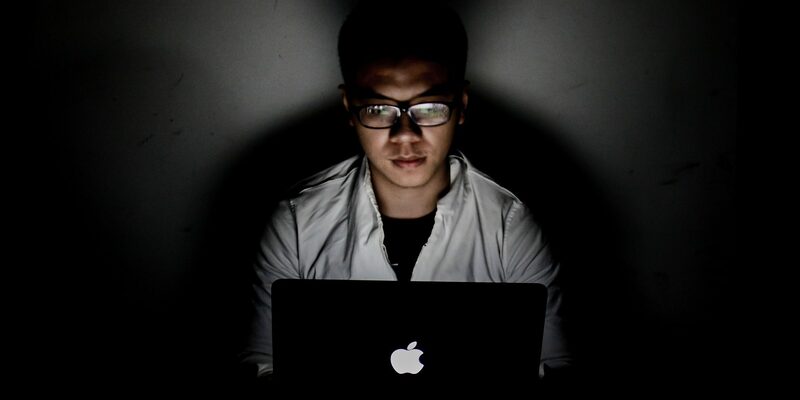 A rebirth of WordPress is underway. Like it or not, Gutenberg is coming, and it is going to change things. So, with all the buzz about Gutenberg, we decided to build our first custom block. In this post I’ll outline how the block was created, the resources used, and my feelings on the subject. I found a handful of helpful resources for building custom blocks. However, the examples were extremely simple. I wanted to create something more practical. So, I settled on building a Profile Block for displaying a personal profile with social media links. The Profile Block features an image, name, title, bio and social media links. It provided the opportunity to create a “RichText” block with custom controls and inspector options. Essentially, it utilizes every aspect of blocks. 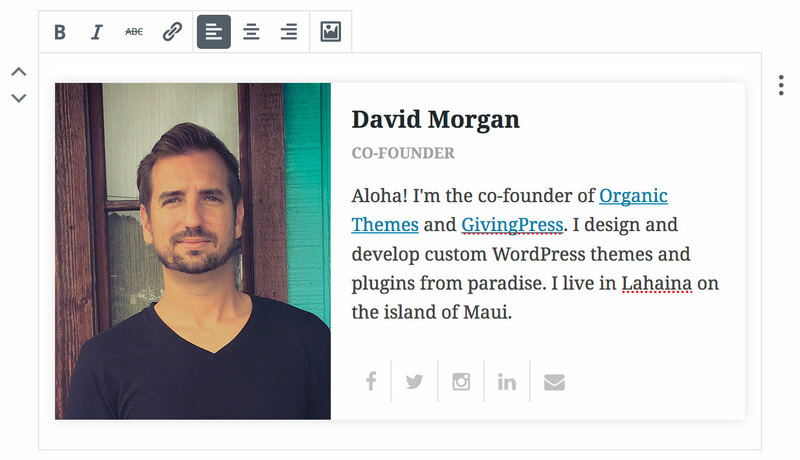 The Profile Block plugin is available on Github and the WordPress plugin directory. Christmas has come early for musicians in need of a website! Music Lite is a slimmed down version of our recently revamped Music Theme. It’s an excellent and free WordPress theme for musicians, bands and entertainers on a tight budget. Organic Themes has long catered to the struggling artist. Our free WordPress themes like Portfolio Lite and Structure Lite are popular among artists and designers. However, Music Lite is our first free theme for that other struggling artist — the musician. 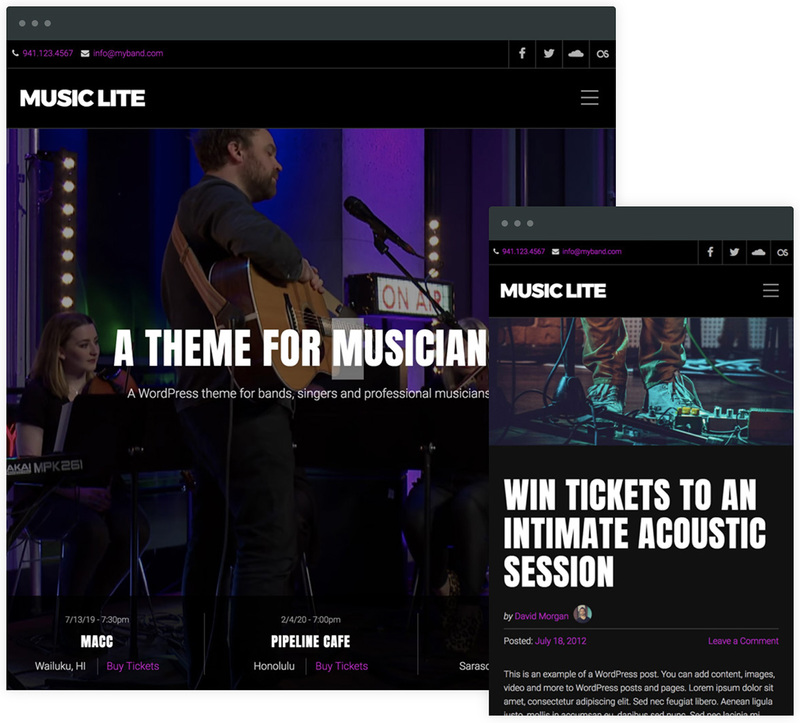 The Music Lite theme has a sleek, dark and fully responsive design. It features a home page template, tour dates, blog and compatibility with popular music player plugins. Additionally, Music Lite is fully compatible with our Organic Customizer Widgets plugin. As a result, you can build dynamic pages to display a discography, fan testimonials, featured merchandise and more!